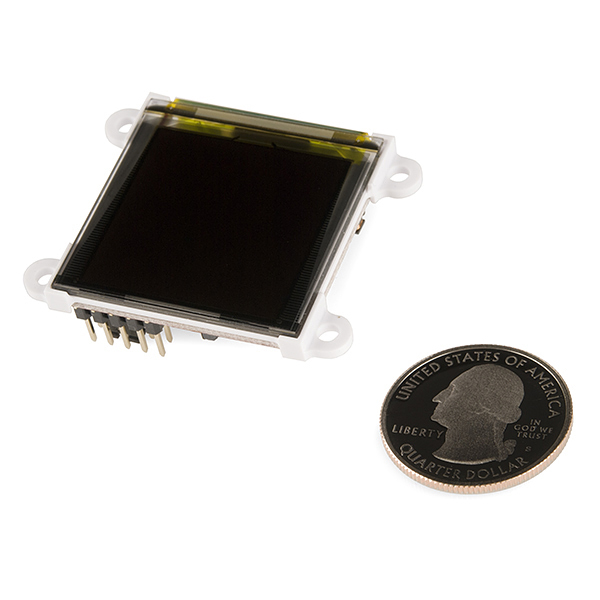 The µOLED-128-G2 is a compact display module from 4D Systems using the latest state of the art Passive Matrix OLED (PMOLED) technology with an embedded GOLDELOX graphics processor that delivers ‘stand-alone’ functionality to any project. The GOLDELOX chip does the heavy-lifting here, delivering powerful graphics, text, image, animation and more. The module is designed to work out of the box and you are now ready to write your code in 4DGL (a high level 4D Graphics Language) using the 4DGL-Workshop4 IDE (editor, compiler and downloader). That's going to save you a lot of time! 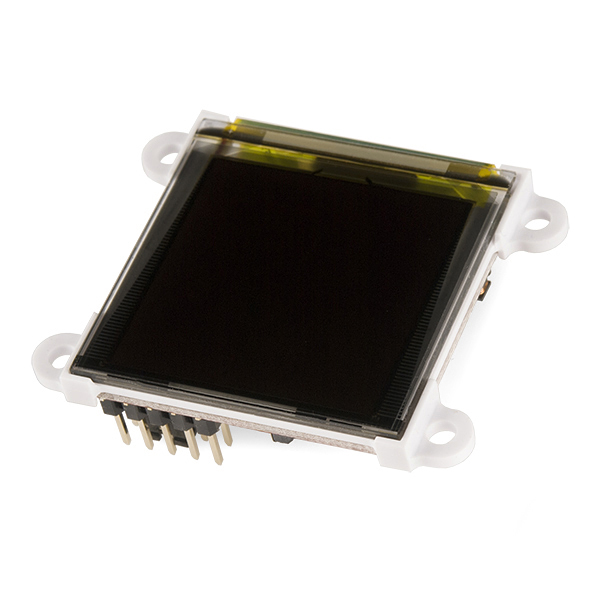 In short, the µOLED-128-G2 offers one sweet little module! 45.6 x 36 x 13.7mm (including corner plates). 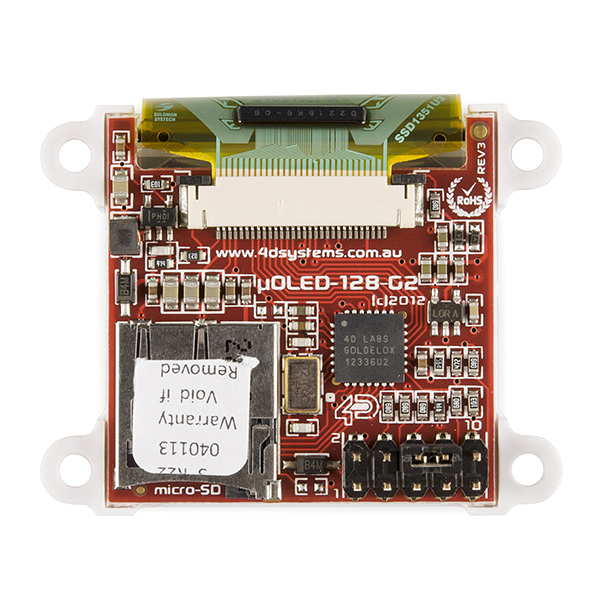 I have had two of these now for a couple of months, Im using them with a Parallax Propeller chip at the moment only for debugging, variable watching etc, though I have also played around with graphics. The are very easy to control in serial slave mode via the propeller micros! This is really surprising. The serial protocol described in their older literature (no longer available from their site) does not seem to work from many other micros (mostly Atmel, some TI). We unfortunately designed around this paperweight and now have to pull it out after receiving no help from 4D. It's important to ensure the display is set to serial mode prior to use if you wish to control it via serial commands, from there on it's quite simple. Since I'm using a Parallax Propeller chip I'm using the SerialDriver Object for communication to the display and can specify the baud rate for communication which is set up when your configure the display for serial slave mode using the application 4D provide. On a 3.3v micro It's also important to have a 10k Resistor across your RX Pin on the micro to Vcc to protect the micros input pin from the 5v signals coming from the display. As long as you wait for the display to be ready upon power up (I wait 2 seconds) before sending the display the correct data at the right speed and allowing for Ack responses it should work. This link may be helpful, it links to Arduino, PicAxe and C libraries for serial mode. Download and install the 4D systems workshop 4 from this page: http://www.4dsystems.com.au/product/10/120/Development/4D_Workshop_4_IDE/#product_info_documentation_header Connect your 4D programming cable to the display, plug it into a USB port. Run the 4D systems workshop 4 app, select NEW, then choose Î¼OLED-128-G2-GFX from the list of displays, click next. Click the -> arrow for the serial environment. Click TOOLS, then click SPE Load button. Your Î¼OLED-128-G2-GFX is now in serial slave mode. I imagine the instructions would be the same for the other displays except you would choose the model display you have. If anyone is interested I'll explain how to load 2 images onto a uSD Card via Graphics Composer and then an explanation of the serial commands used to display them. It's very simple. I interfaced a uOLED-128-G1 with a PIC 24F recently. It took me a while to figure out how to send the commands. Overall, it was easy to operate and easy to write new commands for displaying different graphics. I could not figure out how to display the pretty gauges and progress bars using Goldelox. 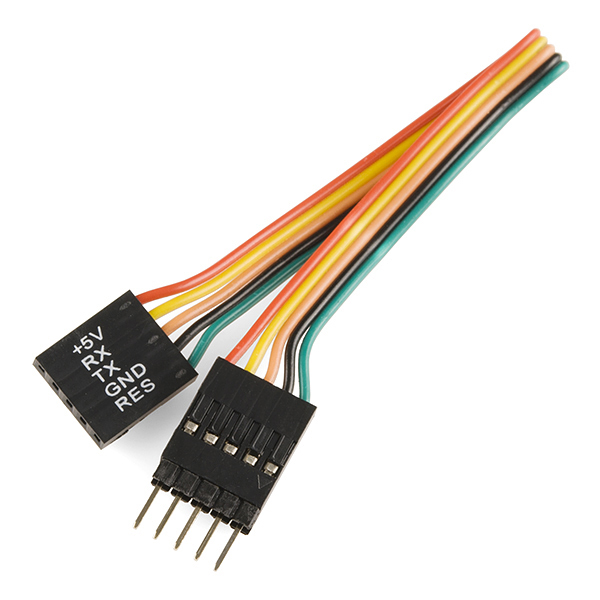 Oh, another good point, the 4D programming cable also works fine to program the Propeller chips as long as you step down the 5v to 3.3v, i'm using a Propeller P8X32A Breakout also bought here and so connect it to the vcc on the breakout, works great! 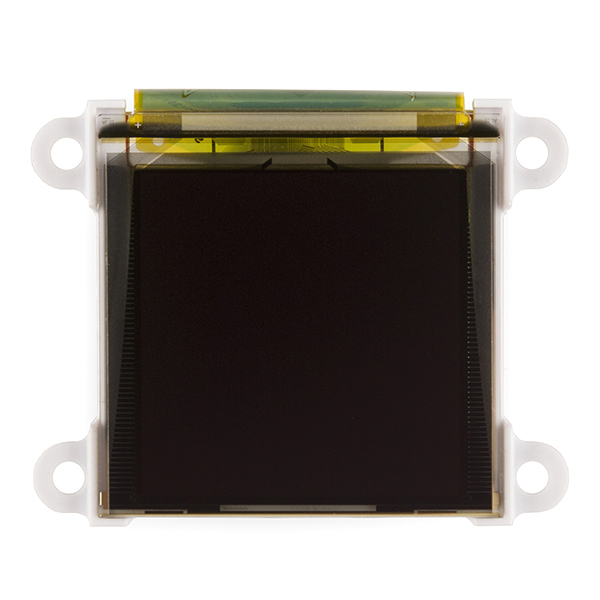 Some of the documentation images seem to show the microSD card slot behind the 'top' of the screen, others seem to indicate the card slot is behind the 'bottom'. Can I get some clarification on this from someone who has played with one? Thanks! orientation can be set through programming. The ruler is a lie. "It's been brought to our attention that trying to program the 4D screens using an FTDI breakout can damage the driver. You'll need to use the FT232RQ USB to Serial which you can find in the related items below." Why would they damage the driver? Is it because the headers are not pin-to-pin compatible (and they would need to be switched around)? I believe about a year ago that 4D Systems required you to use "their" programming device in order to NOT void the warranty for the device. I own several of their devices and have used "their" programmer without any issues. I do remember seeing something posted at the 4D Systems forum/website stating "why" you needed to use their programmer (something about reset issues?). I'll do more checking as I will be "annoyed" if I need to purchase another programmer due to pins being changed (if that is the case). I use it to play video clips on a micro sd card and loop. It works great!